Arunachal Pradesh Chief Minister Nabam Tuki. 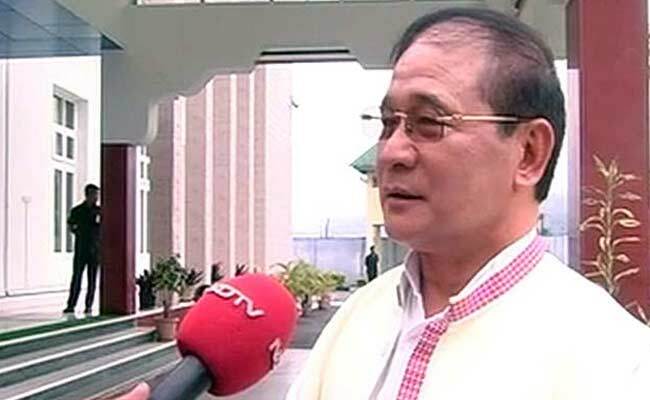 New Delhi, Aug 28 : In a relief to Arunachal Pradesh Chief Minister Nabam Tuki, the Supreme Court today stayed the Gauhati High Court order for a CBI probe into corruption allegations related to his tenure as Public Works Department Minister in 2006. A three-judge bench headed by Chief Justice H L Dattu also issued notice to the CBI and others on the chief minister's plea against the August 21 order of the high court. The bench, also comprising justices V Gopala Gowda and Amitava Roy, granted the relief after senior advocate Harish Salve raised the matter. Mr Tuki is alleged to have influenced the Arunachal Pradesh government to give some contractual works to his relatives as PWD minister in 2006. "Majority of the said contracts were of Kendriya Vidyalayas of Government of India at Shillong, Kolkata and Rohtak, Haryana and another one was House Keeping in newly constructed Arunachal House in Delhi and two other small contracts in the state capital of Arunachal Pradesh," the petition said while listing out the allegations against Mr Tuki. The CM has alleged that high court acted in a "hot and haste manner" and got all the PILs transferred from Itanagar bench to principal bench at Guwahati. "The present SLP raises important questions as to whether the high court without hearing the parties should have passed an order ordering a CBI enquiry into various ten-year-old contracts, which have already been completed," the petition said. Earlier on August 21, the high court had ordered CBI to register a case in this matter after it found that Mr Tuki had abused his official position as a minister in awarding contracts to his wife, sister-in- law, brother and other relatives without calling tenders years back. It had directed the probe agency to conduct a probe against Mr Tuki, besides Kendriya Vidyalay Sangathan, New Delhi, and the Director of Sports Council, Arunachal Pradesh, in this regard. The high court had said that an FIR should be lodged and the final report submitted before the special court at Guwahati.